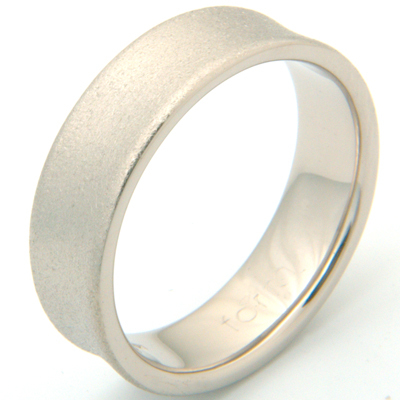 18ct White Gold Concave Satin Finish Wedding Ring — Form Bespoke Jewellers Ltd.
A trendy satin finish really adds a contemporary touch to this wedding ring. The customer selected this concave profile from the Form Bespoke Jewellers range. Then decided to have it cast in 18ct white gold. Here at Form Bespoke Jewellers, we use an 18ct white gold alloy with a high palladium content to ensure a whiter natural colour. Also, as with all our creations, the ring comes with our complimentary life time after sales service including polishing, re-plating and sizing for life. 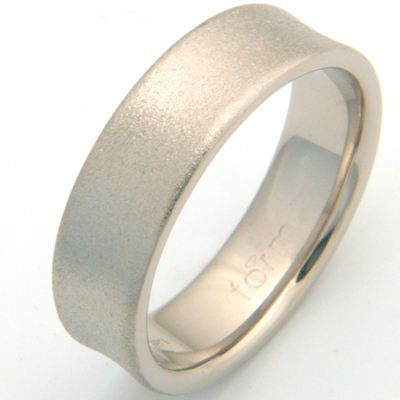 The customer’s decision to have a satin texture applied, enabled their wedding ring to have a contemporary matt finish.